Integrating MusicMaster with Play MPE | by Aaron Taylor – WELCOME TO OUR INTERNATIONAL SUPPORT! 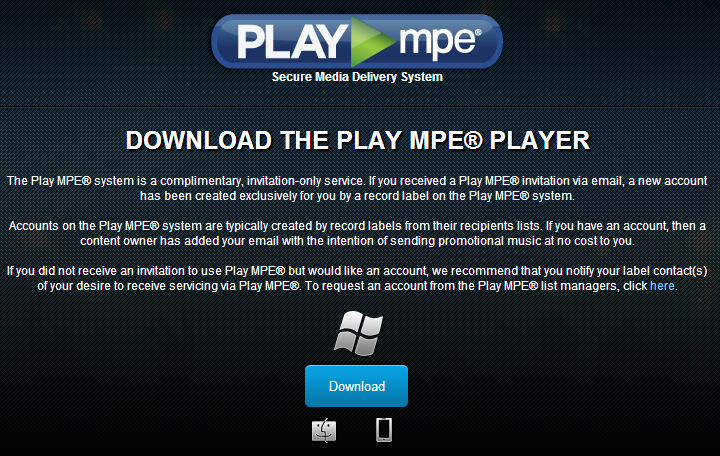 Play MPE is a content distribution system that is available to the radio industry. Many in the industry use it as a “one stop shop” for all new content needed for their stations. In addition to the actual song or video, Play MPE makes available to its users additional data that can be useful in their programming. We’ll discuss how to obtain this information and integrate it into MusicMaster in this article. Play MPE® system is the most widely used digital distribution system available to the recording and radio industries. Play MPE® is a secure distribution system that features state-of-the-art encryption to protect content while delivering high definition audio to users in radio, marketing and media. A powerful promotional tool, Play MPE® also allows record companies to distribute video, text and graphics including music videos, CD covers, credits, lyrics, promotions, and other content. You’ll need to make sure you have access to the content, and then download the player application. 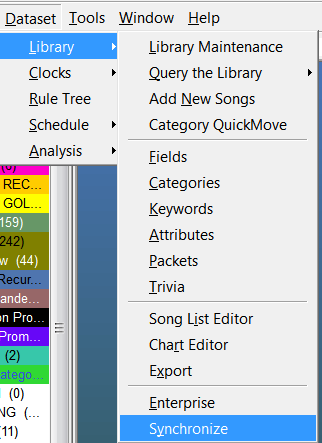 Once you’ve installed the program and begin to browse through your available tracks, you’ll want to follow these steps to get the metadata from your downloaded tracks in a format that MusicMaster will be able to interpret. There are only a couple of areas you have to adjust for your specific database. Those are highlighted above in red. These would be the Sourcepath= line that will tell MusicMaster where to find the metadata file(s) for the tracks you download, as well as the [LibImportMapAdd] lines that denote where the data in the file goes in the database (what fields) which is the Map1=3 “New” lines you see. It is not necessary to import all of the metadata that is in this file into your MusicMaster, not would you want to in some cases as it is just not needed. In that case, the [LibImportMapAdd]lines will likely vary for you, depending on what you’ll actually use. This definition file will be placed in your MusicMaster application directory. 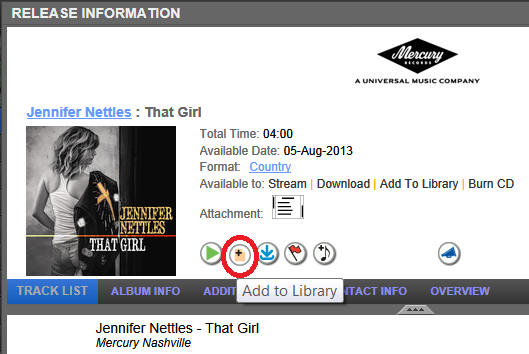 Once the track downloads, go to “My Library” in the upper left hand corner of the application. Then, the following settings window will appear. 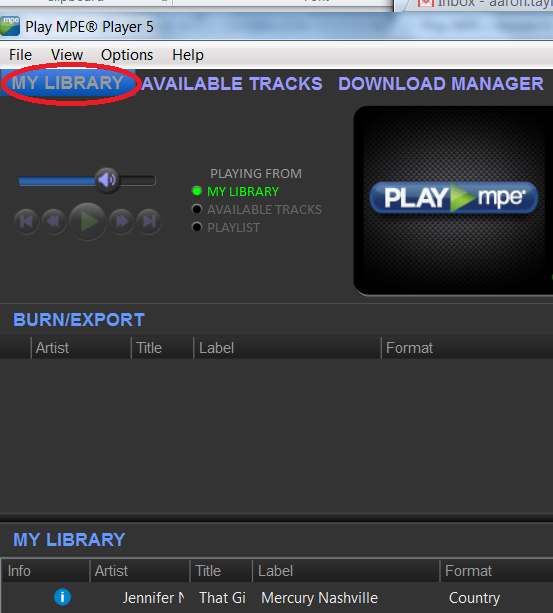 Check the box for Export Audio File. 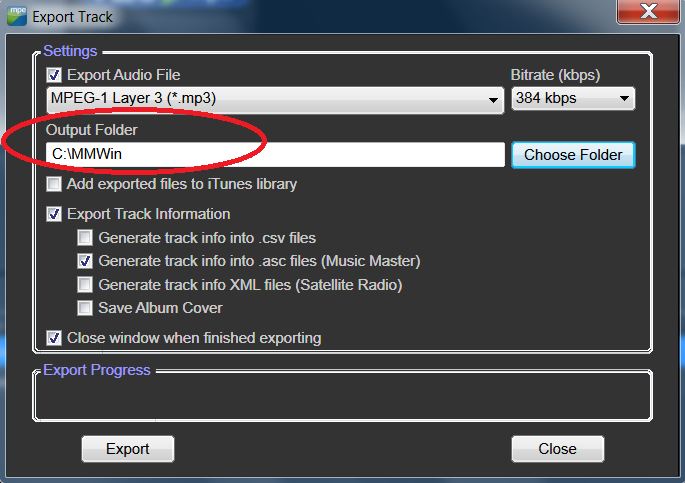 Use the drop down box to select the audio file type you want, the bitrate as well (just a note, I’ve just selected my personal preferences here, you’ll want to check with the administrator of your automation system to determine the right properties to select for the file itself). Regardless of the file properties you select, you’ll need to determine the path to send the metadata to. In the example below in the Output Folder line, I’ve sent it to my C:\MMWin directory for simplicity sake. 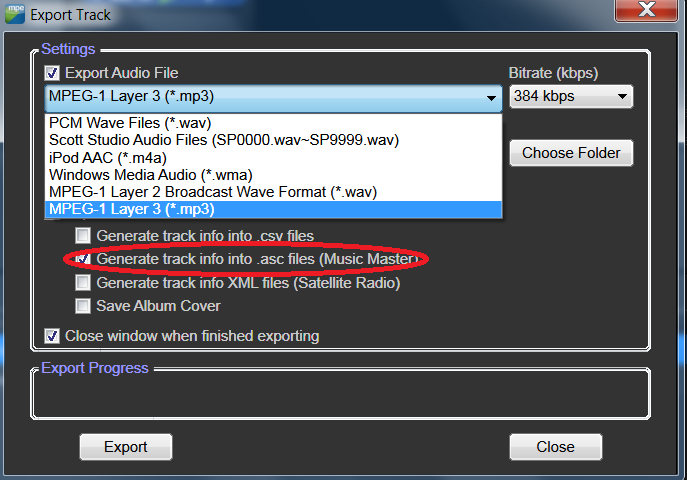 Also make sure to check theExport Track Information box, and also check the Generate track info into .asc files (Music Master)option. Then select Export. You’ll see a progress bar in this window as the content downloads. When finished, this box will also appear which will allow you to go the output folder if desired. 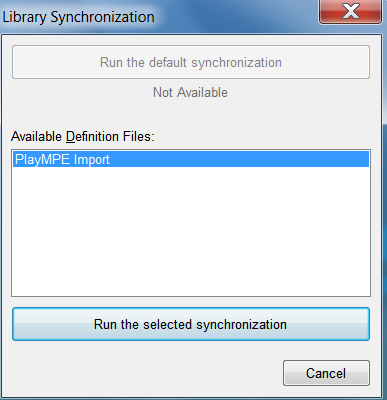 Select the Play MPE Import in the Available Definition Files box, and then select Run the selected synchronization.